It’s summer time and you know what means? Lots and lots of BBQ! The start to the summer has been one of the first in a very long time where my family is actually together at the same time. This month especially, we have been spending a lot of time together and have made it a daily routine to have dinner together every night. My sisters and their families also have dinner with us at least twice a week, too. Cooking for a big family can be challenging at times, but one thing that remains the same is that no matter how old we get or how much we grow apart, we all love BBQ. It’s one thing that definitely brings us together no matter how different our tastes are and we each love bringing something new to the table each summer. Side dishes are a must when you have a BBQ and one of my all-time favorite sides to make for our gatherings are pasta salads. I decided to make something light and refreshing using fresh ingredients and one of my favorite brands of pasta– Barilla. To make this, I headed over to my local Walmart to grab all of the ingredients I needed. 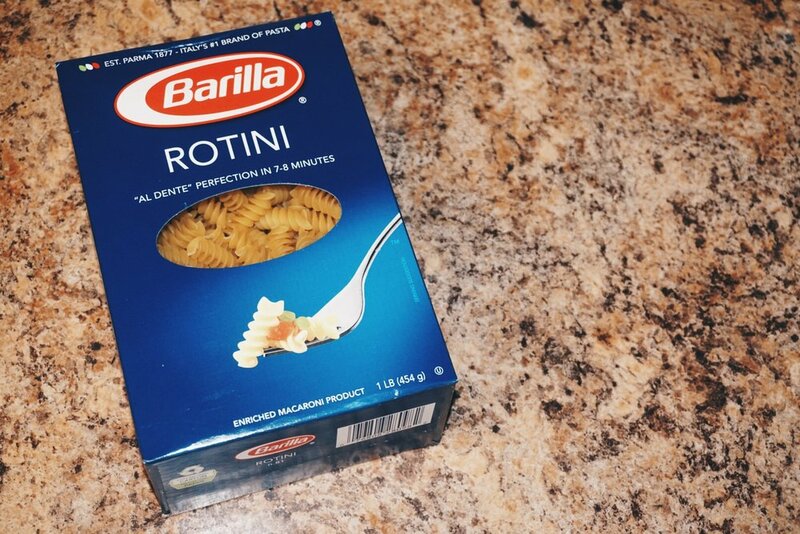 It was really easy to find the Barilla pasta, just look for the blue box! What I love about Barilla pasta is that they even have gluten-free options now so you can easily swap this pasta if you need to. 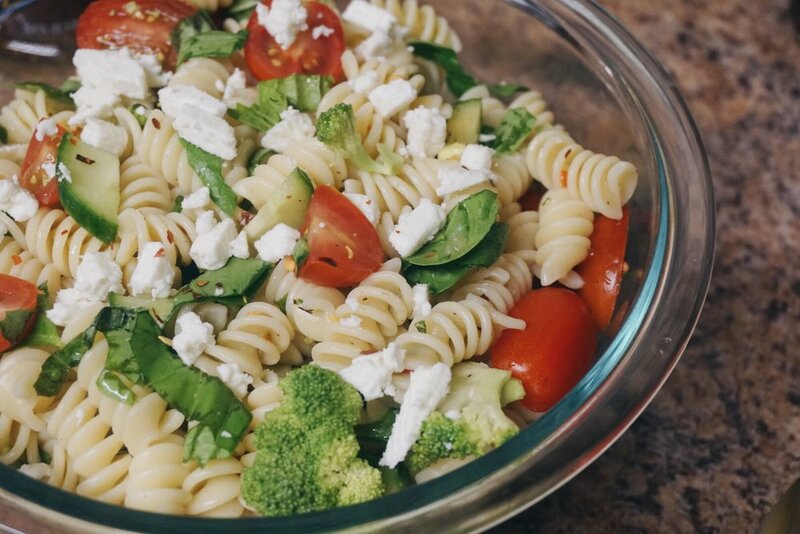 I made a quick and easy Tomato Basil Pasta Salad that I think is perfect for the summer. I used a variety of vegetables like tomatoes, cucumbers, broccoli, and spinach to keep things really light for our favorite BBQ side dish. I also used some fresh basil to really bring out the flavor for this dish– fresh basil smells so heavenly. Once I had all of my vegetables ready and chopped, all I had to do is wait for the pasta to cook. You can pair this with your favorite dressing and serve it on a bed of spinach to impress your guests. 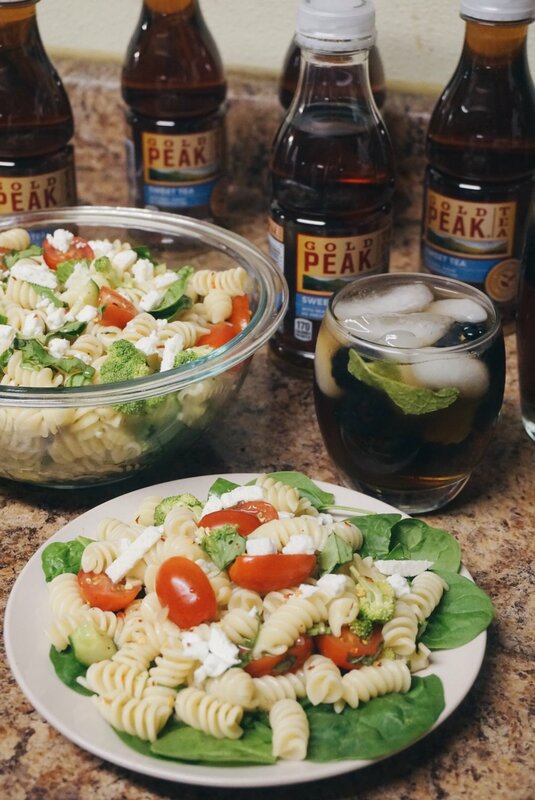 I think this pasta salad dish is best paired with a cold and refreshing drink like sweet iced tea. I grabbed some Gold Peak Sweet Tea while we were at Walmart as well and I really love the convenience of these 6-pack cases! Gold Peak teas are really refreshing and deliver a nice quench on a hot summer day. 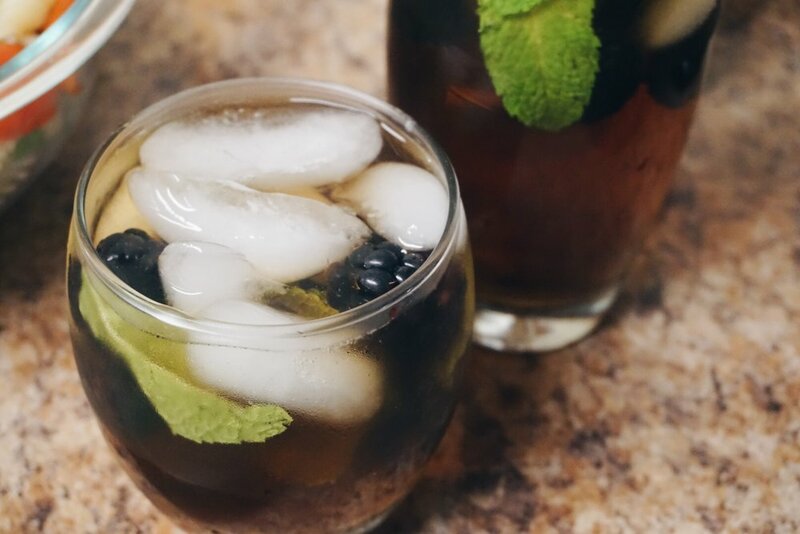 Although it tastes perfectly great on it’s own, I decided to tie in the theme of fresh ingredients with our Iced Tea as well and I added some blackberries and mint for an extra punch of flavor. To make this all you have to do is fill up a cup with ice, some blackberries, and sprigs of fresh mint and pour the tea on top. And then you’re ready to have this delicious beverage with your pasta salad! We like to spend our time outdoors a lot during the summer and iced tea is the perfect thirst quencher on really hot summer days. Making this iced tea takes less than 5 minutes and I know that my family will be sure to love it no matter what. We love making this and having it at our family gatherings because it’s so easy and refreshing. You can really get creative with what you want to infuse your tea with by adding different fruits, flowers, herbs, and even spices. You can even enjoy these over ice as they are! What are your favorite sides to bring to a family gathering BBQ or potluck? Bring a saucepan with water and some salt to boiling and then add Barilla pasta and cook according to directions on packaging. Meanwhile, chop up all the vegetables to your liking. 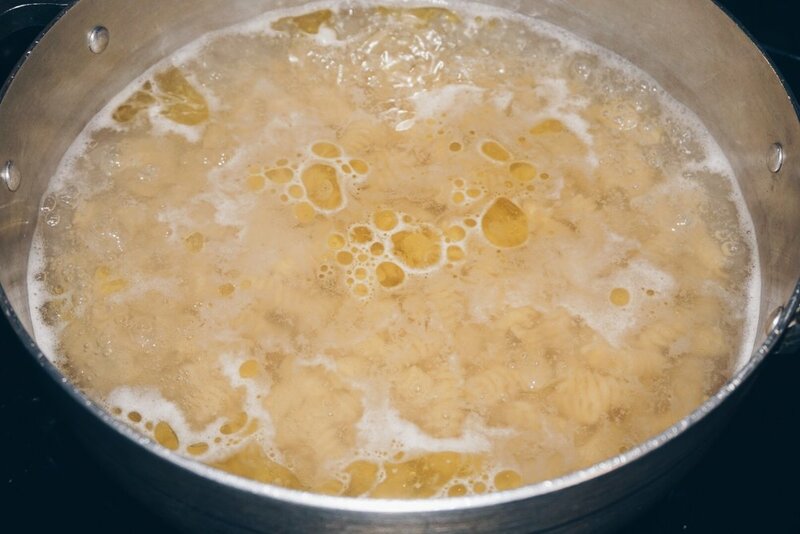 Once the pasta is cooked, drain and rinse with cold water. Toss the cold pasta with the chopped vegetables in a bowl and add in your favorite dressing, black pepper, and fresh basil. Serve on a bed of spinach with some refreshing Blackberry Mint Iced Tea.